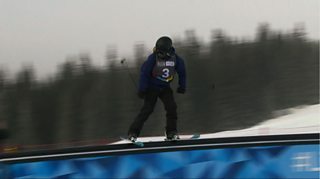 Great Britain's Madi Rowlands takes bronze in the Youth Winter Olympics women's slopestyle final in Lillehammer. READ MORE: Winter Youth Olympics: Ashleigh Pittaway wins skeleton bob gold. WATCH MORE: Winter Youth Olympic Games: Ski Slopestyle masterclass.